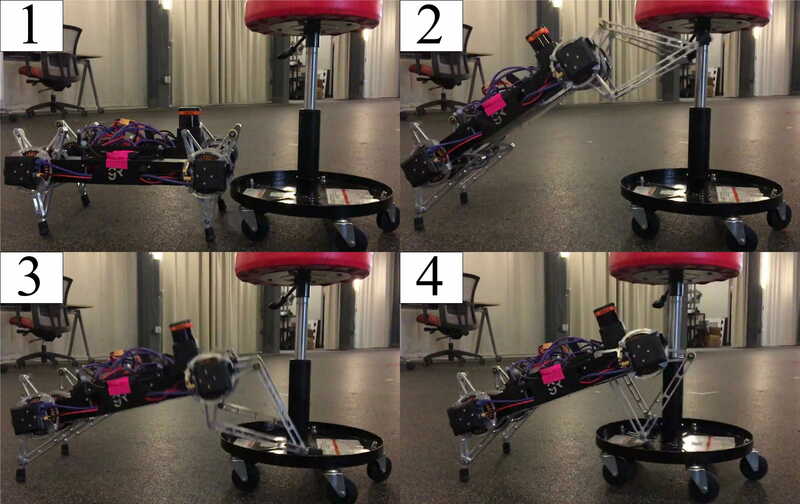 In this project, we seek to develop algorithms with provable guarantees, for accomplishing mobile manipulation tasks with legged robots (and Minitaur in particular). 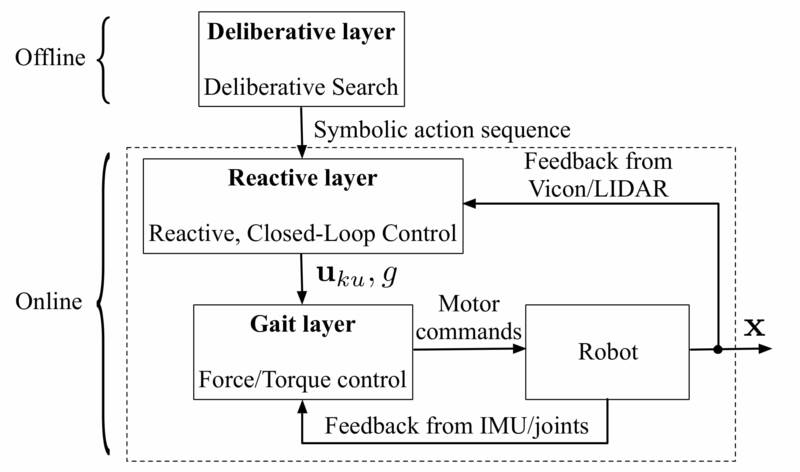 More specifically, the robot’s behaviors are planned and executed by a three-layer hierarchical architecture consisting of: an offline symbolic task and motion planner; a reactive layer that tracks the reference output of the deliberative layer and avoids unanticipated obstacles sensed online; and a gait layer that realizes the abstract commands from the reactive module through appropriately coordinated joint level torque feedback loops. Vasileios Vasilopoulos‘s role: Vassilis has been involved with the development of the reactive layer, its coupling with the deliberative and gait layers, and the deployment of the architecture on Minitaur. Turner Topping‘s role: Turner has been involved with the development of the low-level behaviors that consist Minitaur’s gait layer and their communication with the reactive layer.